When you step across the threshold of the Dojo you enter the world of Aikido, the Art of Peace. Having its origins in the martial arts, Aikido was created by O-sensei Morihei Ueshiba, for the purpose of joining the power of a martial artist with the intent of a peace-maker. ‘Ai’ which means Love or Harmony, manifests between human beings as Kindness, and upon this foundation the skills of Aikido are built. Its mission is to create people with the strength of character and the skill to manifest Kindness even in the face of overwhelming odds. To never be defeated. Thus, to have enroled your child in Aiki Kids is to have done their self-esteem a great service. Aikido is a very deep art that has many facets and although Aiki Kids only serves as an introduction, it is still a high quality introduction. 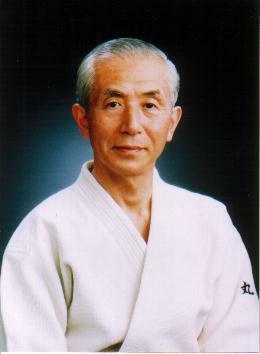 Behind the techniques of Aikido lie skills that come from Nature, yet are usually undeveloped in human beings. The Seven Mysteries, a collection of seven of these natural skills for Aiki Kids, are so called because as they develop they arise naturally and unforced, and seem to have no limit to their depth. more dependent upon the coordinated relationship between the mind and the body, and to achieve this, Calm and Focused Awareness become the main tools. As these develop they allow the aikidoka (aikido practitioner) to ‘blend’ with their opponent’s ki (energy) and then ‘lead’ their movement through an aikido technique. Aiki Kids will learn about: Calm in Action, Ki, and Blending. ( a dynamic point of focus in the lower belly ), and this understanding of movement can benefit all types of physical activity. Aiki Kids will learn about: moving from Centre. In the practice of Aikido it is necessary to know the subtle art of keeping safe distance between oneself and an aggressor. This is known as Ma’ai. It is also necessary to know the life-saving skills of Ki’ai and Ukemi. Ki’ai is a shout that originates in the Centre, filled with Ki, and can be employed either to call for help or to distract an attacker. Ukemi is the art of safe falling. We fall many times in our lives – from horses, bikes, skateboards, motorbikes, etc. Like swimming, ukemi is a lifeskill that can, and has on many occasions, saved people from very bad injuries and even death. Aiki Kids will learn about: Ma’ai, Ki’ai and Ukemi. The secret to progress in Aikido is simply to persevere and to maintain a positive attitude. This, that is so simple, is profound in its effect upon personal development. And in Aikido the rewards, subtle as they are, are real and deep. Aiki Kids discipline is self-disipline. It is not punishment, but is part of the training in Calm and Focus. A child’s misbehaviour in the dojo is neither the instructor’s problem nor the parent’s. It is the child’s problem, and a very simple and gentle process is employed to assist Self-Calming and Self-Focusing. Aiki Kids instructors consist of men and women of all ages who voluntarily give of their time, their patience and their kindness to facilitate this training. Their greatest satisfaction is in seeing a child realize their own potential. The dojo itself is not a public space but a private venue. Neither playground, classroom, nor loungeroom, it is a unique environment dedicated to specialised training in Calm and Focus. You can grow into a Warrior of Peace. It is part of your training.